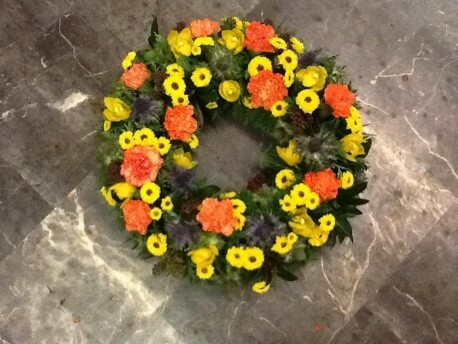 A bright and bold wreath suitable for rememberance of a loved one or a funeral tribute. We have used santini, spray carnations, freesia and eryngium to give this a bright feel. Flowerscene are delighted to offer this tribute for delivery in Aberdeen and surrounding areas.